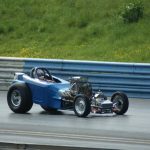 Any car is welcome – why change clubs when you change cars ? 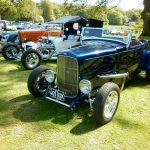 Members own Classic, Sports, Kit and Competition Cars as well as American, Veteran, Hot Rods, Moderns and even Drag Racers – any car is welcome! AUTOSOLO: These events are timed tests of speed around an easy to follow course of cones, on a large smooth tarmac space such as a car park. No special equipment is required and you can enter your ordinary road car. Best of all entry fees are low with club events starting from around £10. 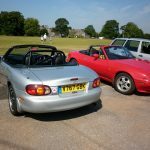 CAR TOURS: The club runs a number of Summer Car tours. 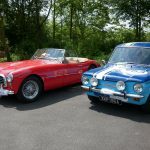 These range from free short evening runs suitable for any car, to our ACE Classic and Sportscar Tour which follows a route of around 100 miles with a lunchtime stop and country pub finish. 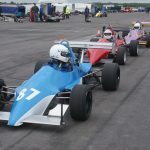 DRAG RACING: Take your car up the Drag Strip We visit Shakespeare County Raceway where you can run your road car. If you get more serious several club members compete in this discipline. TREASURE HUNTS: A social event run during the summer months. Follow a simple route and answer questions en route, with the finish at a good pub. 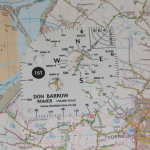 NAVIGATION EVENTS: Ever wanted to try your hand at being a Navigator ? During the winter months it’s onto the maps where you can navigate your way through some interesting lanes and attempt to gather answers to questions along the route. 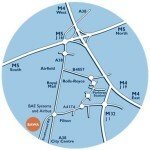 There are classes for beginners and entry is free. SHOWS AND GATHERINGS: The club often has displays at local shows and events. Displays of club members cars have been a regular feature at the Castle Combe Autumn Classic Race Meeting and other local events. Each year we run our own “Bring your Car Night” which gives club members a chance to display their car or just admire the other vehicles on display. To add some action we frequently run some fun driving tests so you can use your car as well as display it. SPRINTS: The greatest test of speed available! We organise our own timed Sprints at Castle Combe Circuit and Llandow in South Wales. Over the years we have also designed and run our own courses at a number of Airfield venues including Colerne near Bath and Hullavington in Wiltshire. Courses are driven as quickly as you can, against the clock. Our events host rounds of a number of national championships, meaning there is always a wide range of interesting vehicles entered. 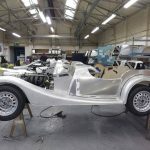 Classes for anything from your standard road car to racing cars. Because of the speeds involved you need a Competition License and some basic safety equipment, such as helmet, gloves and overalls – plenty of advice is available from fellow club members to get you started. TRIALS: Our trials are held in a hilly field, where you can speed, coax or crawl your way up slippery slopes in your standard car. Entry from just £10. 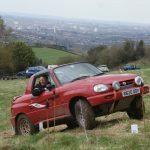 If you want to get more serious and prepare your car specifically for off road trials you can enter many more challenging events to which the club is invited. With a number of club members competing in trials plenty of advice is available. 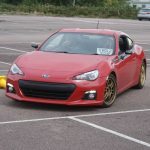 TRACK DAYS: For 30 years the club has run our own exclusive Track Day at Castle Combe Circuit. 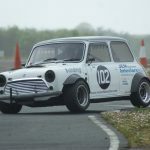 This is your opportunity to drive your own car around a race circuit and receive tuition from the experts. 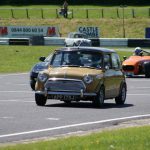 The day is run for the benefit of club members rather than profit, which means we offer an excellent value day with a low number of cars on track as well as no extra charges for tuition, passengers or sharing a car. TRIPS & VISITS: We organise a number of club trips throughout the year. 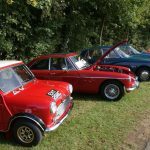 These trips have included regular organised club trips to car shows as well as behind the scenes visits to museums and factories – in recent years we have visited amongst others Mini, Jaguar, Morgan and Land Rover. 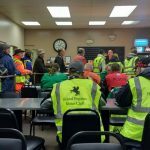 MARSHALLING: Where you can put something back into motorsport by helping to run events; keeping them safe. Get close to the action at our Castle Combe Sprint or help organise a club event. CLUB MEETINGS: Club Nights include frequent film or video evenings of motoring events and are interspersed with quiz nights, skittle evenings, table top rallies and our popular guest speakers nights.